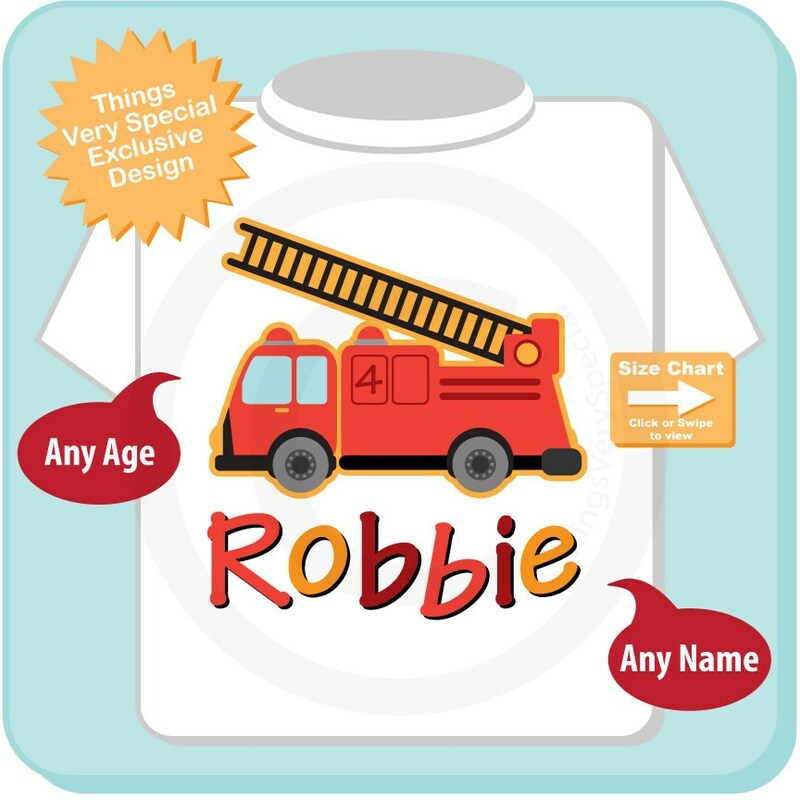 This cute tee shirt or Gerber Onesie with awesome Fire Truck can be personalized with your child's name and age. 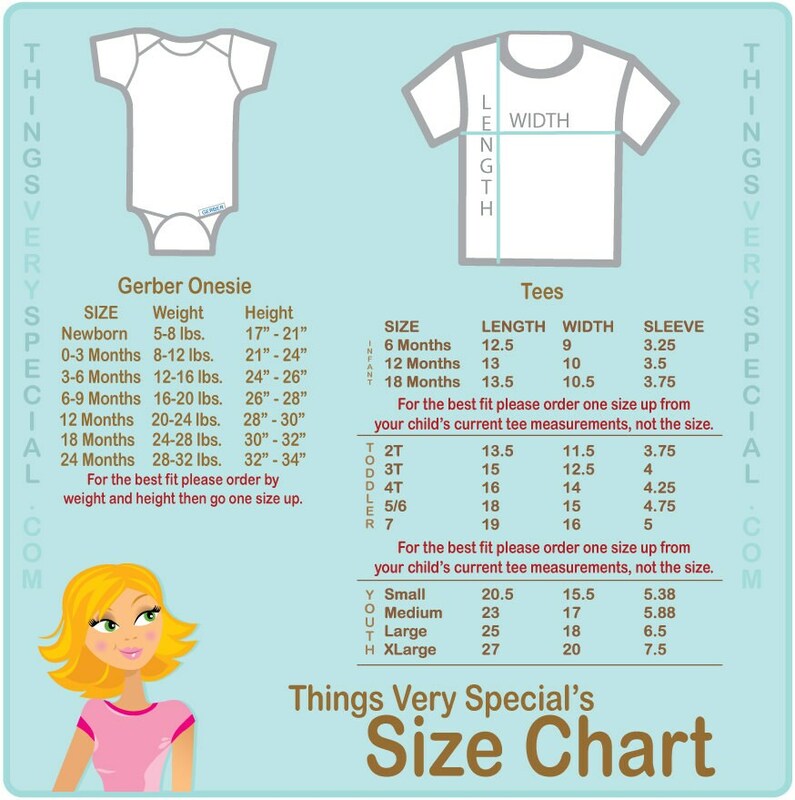 This one shows the age of 4. 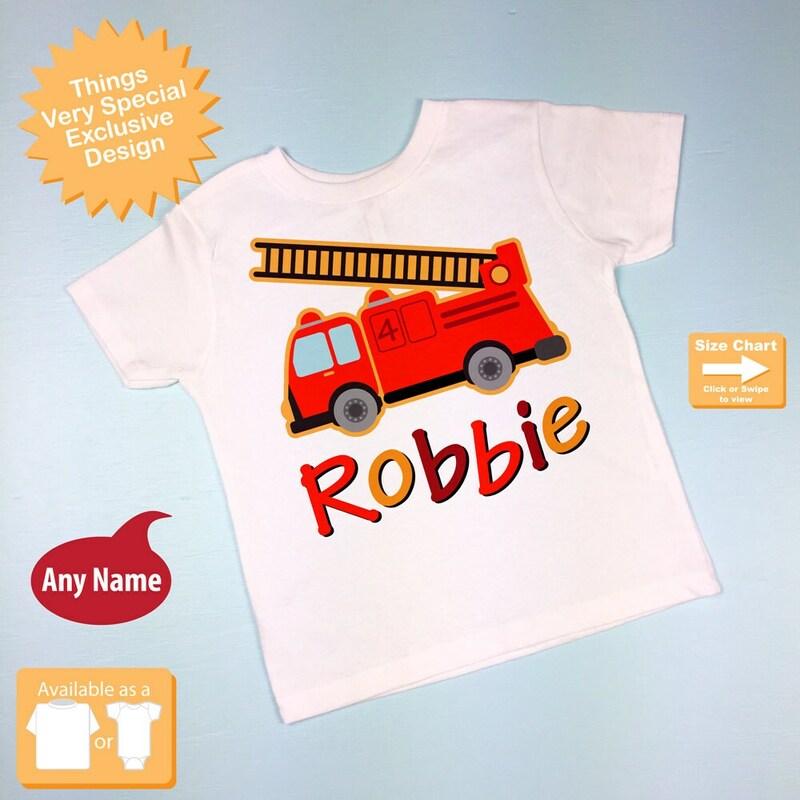 Great shirts, extra customization to add the number as requested. Super fast processing and delivery. Thank you!